Start your evening with cocktails and hors d’oeuvres as you shop at our specialty boutiques, raffle and silent auction. Then join us for a seated dinner alongside the runway to enjoy a program that will warm your heart. 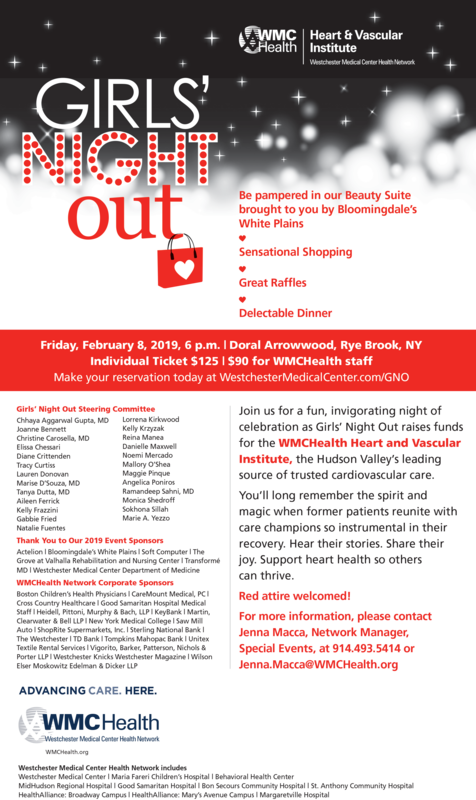 Girls’ Night Out — an evening dedicated to raising awareness for women’s heart health and to raise funds for WMCHealth’s Heart and Vascular Institute. Red attire welcomed!